Nicola Pittam has been living and working in Los Angeles for the past 19 years as a celebrity news journalist. She supplies news and features to a variety of publications in the U.S. and the U.K. including the New York Post, USA Today, People Magazine, Us Weekly, TMZ, RadarOnline, London Times, The Telegraph, The Sun, The Mirror, Daily Mail, Hello!, OK, Glamour and Cosmopolitan. She has also written a biography with Angie Best – ex-wife of England’s most famous soccer player George Best and fitness trainer to world-renowned entertainer Cher. George And Me: An Autobiography (ISBN 1852279028) was published in the U.K. by Virgin Publishing in September 2001. Nicola started her career as a writer at the age of 19 when she wrote for her local paper in Northampton, England. She has come a long way since then, including spending almost four years, from the ages of 22 to 26, working for Rupert Murdoch's Sun newspaper in London, which is the highest selling daily newspaper in the UK. Nicola, now 44, still writes for all the British daily newspapers, based in Los Angeles but reporting from across America. In addition, she is working on several feature film scripts as well as a TV pilot and a YA trilogy. She has broken the story on most of these tragic and unfortunate celebrity deaths. She has previously spoken to those close to the celebrities and has copies of the coroner’s reports and death certificates. She was also the last journalist to interview Corey Haim before his death and following the death of Gary Coleman was the only journalist to speak to his ex-wife Shannon Price and she also interviewed Brittany Murphy’s mother following her shocking death. Harrison Cheung has also been linked to the Hollywood scene for over ten years, previously working for Batman star Christian Bale as his personal assistant and publicist. He has also been involved with other Young Hollywood celebrities, including Jake Gyllenhaal, Ryan Gosling and Corey Haim. Harrison has first hand knowledge of how the Hollywood machine works and has seen close-up how Fame can ruin a young life. Born in Scotland and educated in Canada, Harrison has been writing all of his life. His first novel, Idol Worship, was a finalist in the Writers' Guild Fiction competition. He won Honorable Mention in Glimmer Train’s 2010 Short Fiction competition. In 2002, he produced an award-winning short film called Rising of the Moon, about IRA hunger striker, Bobby Sands. In 2012, he won a Telly Award for Best Online advertising for his series of book trailers promoting the Christian Bale biography. In 2013, he and Nicola won a number of awards for the Bale biography, including Best Biography, Indie Book Awards. The fascination is part shock and sorrow. When it’s a famous victim who starred in your favourite TV show or movie, or whose music was part of your life, their misfortune is a reminder that we’re all human beings with foibles and lives not too different from our own. 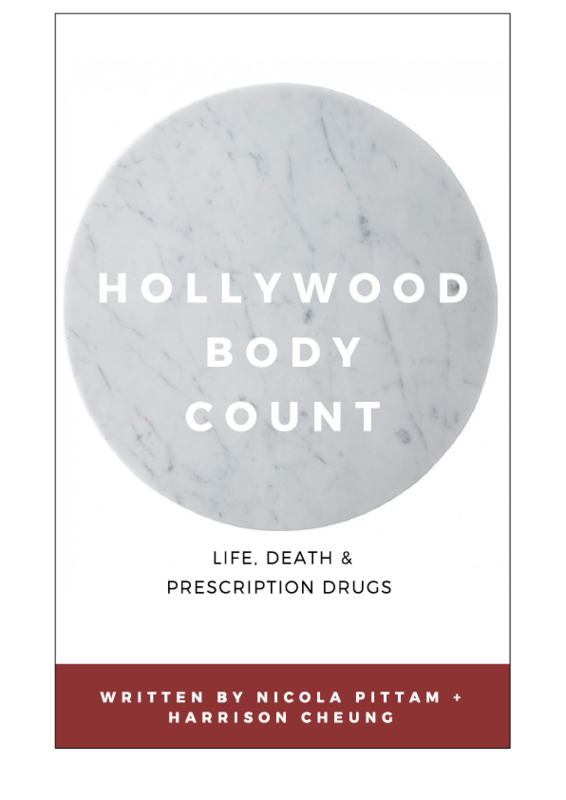 Celebrities are family by proxy, so we are interested in knowing what the rich and famous eat, drink, wear, or love, but we are also curious about how they died.